This article provides an overview of several rappers in legal trouble. It recaps the problems that Young Jeezy, 50 Cent, Soulja Boy and Kanye West had with the law. 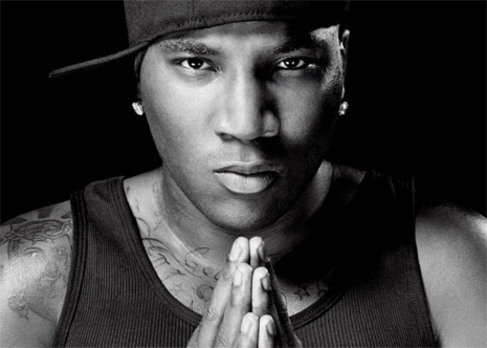 The street life of a rap artist is often the subject of hip hop music tracks and Young Jeezy seems to be more than content to live the street life to the fullest. Popular for his heart thumping tracks and also for his philanthropic endeavors, the rapper is well known both inside and outside the hip hop music industry. Young Jeezy has been on the receiving end of serious criminal charges ranging from firearm possession, driving under the influence and drug-related incidents. 36 year-old Jay Wayne Jenkins, aka, Young Jeezy has been in trouble with the law for almost a decade. In 2005, Jeezy was arrested in South Beach, Miami in association with an alleged shootout involving some of his friends. As a result, the rapper was charged with two counts of possessing and carrying a concealed firearm without permit. However, the police dropped the charges after two months of investigation due to a lack of evidence. Two years later, on September 29, 2007, he was arrested by the Atlanta Police Department (APD) for driving under the influence (DUI). The arrest occurred after and oncoming taxi accidentally hit Jeezy’s Lamborghini. When police investigated they determined that he was driving under the influence. In addition to these incidents, he was arrested twice in 2014. The platinum-selling artist and rapper faced two arrests in the month of January alone, when he was charged with domestic violence and police obstruction. During the first incident, the police responded to a security alarm call at his girlfriend’s house in Atlanta’s suburban neighborhood of Alpharetta. The original purpose of the call was not criminal in nature and was considered to be fairly routine. However, when the police officers arrived on the scene and asked for his name, an altercation ensued. He became uncooperative and used profanity toward the law enforcement officers. His behavior led to the rap artist being arrested and taken to jail. In September 2012, Jeezy and his son became involved in a heated argument. Witnesses alleged that Jenkins was choking his son and threatened to kill him. 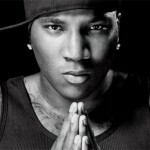 It was also alleged that Jeezy slammed his son’s head into a glass shower door and dragged into a bedroom to beat him up. During the fight, the rapper threatened to “put a bullet through his head.” Police arrived on the scene and the rapper did not cooperate with the investigation. Jenkins was arrested and charged with battery, terror threats and false imprisonment. He was later released on a bond of $45,000. It remains to be seen whether his run-ins with the law will have a detrimental impact on his music career. It has not been the best of weeks for rap icon, 50 Cent. Generally, when global rap icons announce the release of a new album after a five year hiatus, they hope and even expect it to be received positively by the media and the public. However, when the rap legend returned to the stage with his G-Unit entourage at the Hot 97 Summer Jam festival, things took an ugly turn. A man who was invited on stage to engage with the rapper has now filed a robbery claim against 50 cent, stating that the rapper may have taken his chain while he was on stage. The alleged victim of the robbery is a man named Slow, who is the founder of the Slowbucks brand, widely acknowledged as one of the upcoming urban retail brands in the market. On June 5th, Slow organized a press conference in New York City where her discussed robbery allegations against 50 Cent. Civil investigator, John P. Bostany, who was also present at the press conference, has made a number of assertive statements declaring that there is every reason to believe that the rapper was involved in the robbery. A report from AllHipHop.com claimed that Bostany is currently looking to engage in a discussion between all relevant parties to conduct a thorough investigation into the matter. Bostany released a statement saying the video footage from the concert clearly shows the rapper facing Slow, before turning away immediately after. While the footage does not explicitly show 50 Cent removing the chain from Slow’s neck, Bostany is convinced that the rapper did play some part in the robbery. The investigator continued by claiming that the entire ordeal was, in fact, a stunt to ruin the image of the fast-rising Slowbucks brand. The attorney stated that there was a great deal of evidence to suggest there was malicious intent on the part of the rapper and his G-Unit team. 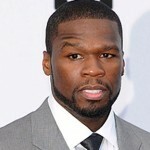 50 Cent claims that he was not aware of the incident and was not involved in any way. Bostany made a statement regarding 50 Cent’s interview with popular national RJ Angie Martinez on US radio, that the rapper had been lying about not being aware of the incident. He asserted that the video footage from the concert was more than enough evidence to suggest that 50 Cent had at least seen the robbery. While no official lawsuit has been filed, the civil investigator has made it abundantly clear that the investigation into the matter will continue. Bostany stated that the case had become a matter of principle more than anything else, claiming that 50 Cent’s status as a powerful and rich music icon, did not mean that he was not accountable for his actions, nor was he above the law. 50 Cent has refused to make an official statement on the matter. Following the Hot 97 Summer Jam Festival performance, 50 Cent announced that a new album is in the pipeline, with an expected release date to be sometime during November. Soulja Boy, whose real name is DeAndre Cortez Way, made it big as a rapper and entertainer with popular hit records such as ‘Millions’ and ‘We Made it (Remix)’. However, he has been making headlines for all the wrong reasons these days, by breaking the law. In January, 2014, the 23 year-old rapper was riding in a car with another rapper in an area of the Los Angeles metropolitan areas known as “The Valley”. The L.A. police pulled the car over after it failed to stop at stop sign. When the police officers searched the vehicle, they discovered a loaded gun in the car. Soulja Boy was arrested immediately and taken to an L.A. county jail. He was booked on felony gun possession charges and his bail was set at $35,000. After spending a few days in the county jail, be was released. This is not the first time that Soulja has been arrested. In October 2009, he fled the scene when cops ordered him to stop filming a video in an old house in Atlanta, GA. He was arrested and later released on bail of $550. Later, in October 2011, he was arrested in Georgia’s Carroll County, when cops found marijuana in his vehicle. At the time he was stopped, he was traveling with four other individuals. In addition to discovering marijuana, police found handguns and money in the car. He was arrested and taken to jail, but was released from custody the very same day. 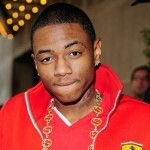 After his latest run-in with the law, Soulja Boy blamed the media for targeting him because of his celebrity status. He said that his arrest wouldn’t have made the news if he were just an ordinary guy. The rapper’s manager, CEO Miami Mike, explained to the media that Soulja Boy was not aware of the presence of the loaded gun in the vehicle. His manager also blamed a neighbor for placing the gun under one of the seats in the car without his knowledge. Soulja Boy claimed that the search on his car was not legal, but authorities claimed otherwise. Authorities stated that the search was allowed because the gun was clearly visible. Another rapper Arab was driving the car during the arrest, according to media reports. The rapper, whose hit song ‘Crank That’ was nominated for the 50th Grammy Awards, has always been controversial. He has been in the news for alleged abusive remarks against fellow rappers, and once even for allegedly posting death threats on a social networking site aimed at a Chicago rapper. He later claimed his social media accounts were hacked and he was not responsible for the threats. His music has been banned in some schools due to their violent or sexual content, though he denies the content is excessive. In addition, he has been criticized for dissing the U.S. Army in one of his songs, which was released around the tenth anniversary of 9/11. Reportedly, the military announced a ban on his music in 2011. He has since since apologized for the lyrics. It hasn’t been smooth sailing for Soulja Boy on the personal front either. In 2008, he was robbed and threatened by gun-toting masked men. In 2007, his younger brother, Deion Jenkins, was killed in a car accident. It remains to be seen if the rapper will clean up his act or continue to have run-ins with law enforcement. Will Kanye West Face Attempted Robbery Charge in Alleged Attack on Paparazzi? On Friday, July 19, 2013, Kanye West became on of the rappers in legal trouble when was allegedly involved in an incident at the Los Angeles International Airport (LAX). During the incident, the king of narcissism reportedly attempted to take a paparazzi’s camera, who was trying to take photos of the self-reported genius. 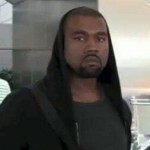 Kanye was leaving the airport and was being followed and harassed by a paparazzo / photographer known as Dano. Although Kanye did ask him to stop following him and asking him questions, Dano continued to follow and harass him. As a result, a scuffle began as Kanye attempted to grab his camera. In addition, he reportedly tried to punch the photographer. Dano was injured in the scuffle, apparently injuring his hip (that’s what you get for messing with the king of HIP hop). Los Angeles Police and paramedics were called to the scene, but Kanye (aka Yeezus) left the scene before they arrived. After the incident, police launched a battery investigation to determine what happened. Kanye West, a 36-year-old rapper and entertainer could be charged with “attempted robbery” which is a considered to be felony in the state of California. According to TMZ, the photographer Dano was involved in a similar incident in 2007. Singer Britney Spears attacked Dano’s car with an umbrella when she got fed up with him following her. Will Kanye West face attempted robbery charges in the attack on the paparazzi, or will the judge see this as harassment on the part of the photographer? Will he continue running up on the stage at award shows in an attempt to draw attention to some important issue, but secretly only trying to draw attention to himself? Who knows? If you have any questions about these rappers in legal trouble, please post a comment below. Or, get the scoop on more Celebrity Investigations.